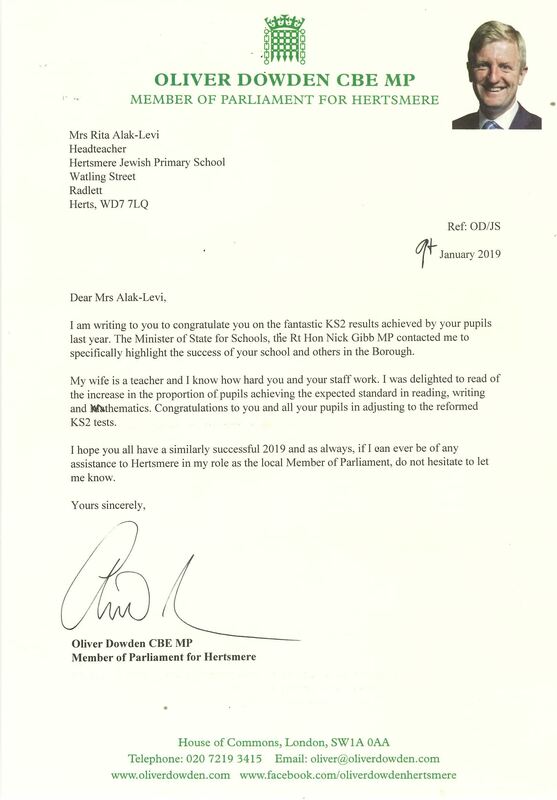 We were very pleased to receive a letter this week from Oliver Dowden CBE MP. We were delighted to see how much the hard work from our pupils, staff and governors has reflected in last year’s Key Stage 2 results. Please click here to download the letter.